Your body remembers what you do most of the time. So if I keep a consistently healthy diet and lifestyle, I can have a cheat weekend and be just fine. If I eat a salad a week and run once a month, my body doesn’t remember this because it is not what I do most of the time. You may have noticed a pattern the last few weeks in our writings: Persistence, Resistance, Difficulties, Complacency, Counting the Cost…. Why are these showing up so consistently? A look at the calendar gives us a hint: We have been in Ordinary days about three months, and we have almost three left. 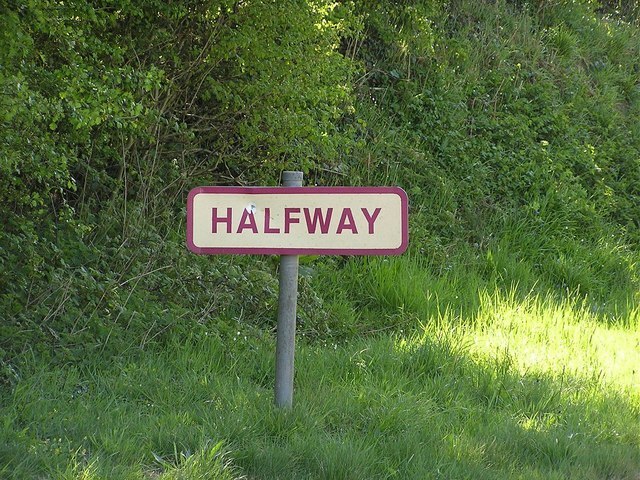 Half-way points are significant because they can be the most difficult part of a journey. The newness has worn off, yet the end still seems pretty far away. And if you are like me, August is one of those months when all the junk starts to creep in. With all the other new things I get lazy in my relationship with God, I start to doubt myself, and I fall down on my relationships. The half-way mark is the perfect time to talk about resistance, difficulty, and counting the cost. Because this is the part of the Liturgical season which asks the question: Are you hanging in there? When resistance comes, will you push through? When times get tough or even just busy, will you keep what is important at the forefront? What will you do when you feel like too much is being asked of you? Or what do you do when you just don’t feel like doing anything? It is what we do routinely, not rarely, that delineates the character of a person. The main celebrations of the Liturgical year are beautiful and wonderful, but they are not the things which shape our character. What we do routinely is what shapes us. Advent and Lent are there to help us build new routines in our Ordinary days. Even branches of Christianity who aren’t very Liturgical have bought into the idea of special times, locations, and events as the main vehicle for what shape us. We put efforts into retreats, conferences, camps, and even Sunday gatherings. If we hang our spiritual lives on these one-time events, our character is rarely shaped. But if these events serve to change our routines, then we see real transformation. So at the half-way point(-ish) of Ordinary Days, it is time for some gut check questions. In fact, I think the half-way point is a chance to ask some uniquely difficult questions of how we routinely and Ordinarily practice our faith. What has slowly fallen off our radar? What subtle doubts and questions have been creeping in without you noticing? Where have you replaced busyness for activities which are life-giving? Where have you missed the point or are going through the motions? Is a life lived in the presence of God really worth the hassle? What other questions should we be asking? How are you answering them? I’d love to hear from you! This entry was posted in Ordinary Days, Uncategorized and tagged complacency, Difficulty, Halfway, Ordinary, persistence, Questions, resistance, routines. Bookmark the permalink. ← Ordinary Days: Is it Worth It?